Choose a membership package and price the suits you! Energize is a Community of real people, just like you, who love to keep fit and healthy. So, whichever ‘crew’ sounds like you – Young at Heart, Fit n Funky, On the Go With Kids in Tow, Mind Body Souldiers, Early-birds n Lunch-timers, or just regular Joes n Janes – you’ll feel right at home at Energize. Come and find out why we’re known as the Health Club with a Heart. You don’t need to book ahead for classes or the kids club. Just turn up! Get a new workout program written for you every 6 weeks, for free! Can I bring a friend in with me for a workout? Yes, absolutely! You can grab a free 3 day trial pass for them here. Are there any employment opportunities at Energize? We always have room for the right person, so if you are interested in joining our super-awesome team, drop a resume in at reception. What if I need some help with the exercise machines? We have a team full of ‘green shirts’ cruising around the gym floor, whose sole purpose is to help out. They’re super friendly, but if you can’t find one, ask reception for some help and they’ll gladly book you in for a free program review. Program reviews are included in your membership (every 6 weeks) and are a great way to learn some new exercises, or ask some questions about health, fitness or nutrition. Our fortnightly debited memberships require just 2 debits notice to cancel. Some of longer term memberships also have a minimum term (12 or 20 months) which are offset by lower fees (our 20 month agreements start as low as $17.95, compared to our flexible memberships at $24.95). These longer term memberships are still not ‘lock-in’ though, but they do attract early cancellation fees. To find out more about membership terms, check out our membership quote tool. Can I put my membership on hold while I’m away? Yes, you can put your membership on ‘timehold’ (also called a ‘freeze’) for up to 12 weeks per year, in 2 weeks blocks, with 2 weeks prior notice. For fortnightly debited memberships, this reduces your fees to just $3.50/week and for 12 month Prepaid memberships, there is just a once-off $7 fee. To freeze your membership, simply ask reception for a timehold form. Can I claim Health Fund rebates on my membership fees? Yes, we are registered with Fitness Australia and recognised by all major health funds. Most funds offer rebates of 20-60%, for up to $200-$600 per year. Typically, the way to claim a rebate is to ask our friendly receptionists for a tax receipt for your membership fees. You then submit this receipt directly to your health fund. What ages does the Kids Club cater for? The Kids Club caters for 6 week olds to 6 year olds. During the school holidays we also run KidFit sessions. These are fun, active fitness sessions designed for predominantly primary school aged children. Check our Facebook page for details on upcoming KidFit sessions. 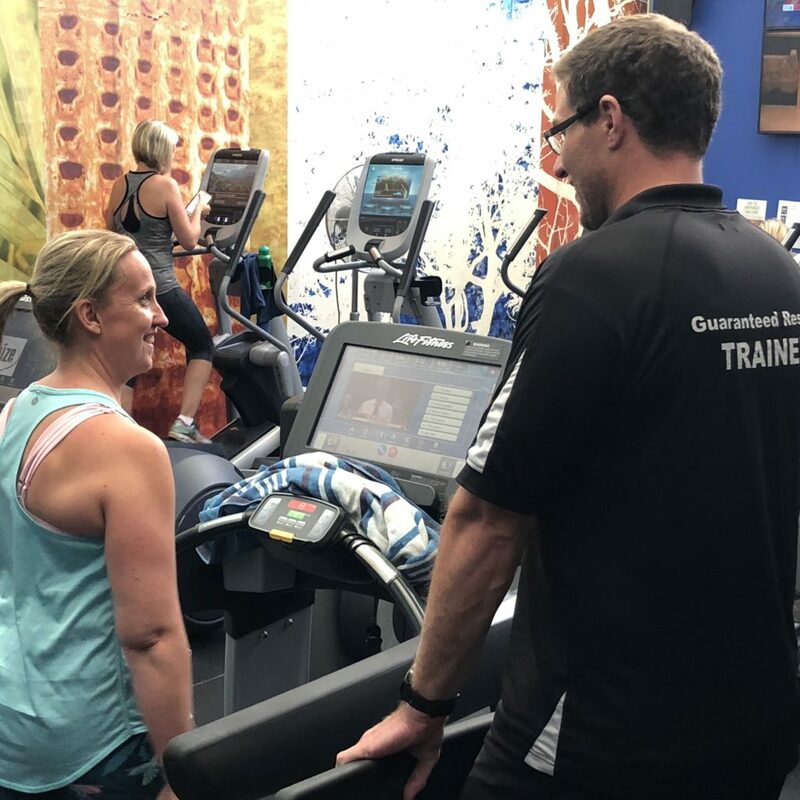 If you are 12 years or older, you can become a fully fledged member by completing our Induction Program (3-6 sessions with a PT, depending on your age).